For most of us, tidying up and cleaning up is one of the less exciting daily responsibilities - it's annoying, eats into our leisure time and is certainly not most people's idea of fun. Are you also allergic to housekeeping? If so, we have the ultimate solution for you: how about Magic Cleaning? Learn all about the globally successful KonMari method and learn five tips from the queen of clean Marie Kondo. Having a perfectly tidy house is a daily challenge for most of us. Everyday stresses, lack of time and the fast-paced society we live in these days can make it a tricky task to keep everything spick and span at home. One thing is clear: tidying up doesn't just make finding everything easier to locate and cleaning easier. It also benefits our health because, according to research, disorder and messiness results in increased levels of stress. In fact, polls have showed that 70% of respondents feel stressed out by a messy home. More than 45% of people even avoid inviting someone to call around to their home when it is messy. Check out our infographic where you can see more interesting facts on this topic at a glance. According to recent studies, a tidy home helps us to cope with stress. It also makes it easier to lead a more orderly life, especially in terms of our eating and sleeping habits. This opinion is also shared by Marie Kondo, the inventor of the KonMari method of cleaning. The organisational consultant also claims that a tidier environment makes us happier. It's also easier to maintain order and cleanliness with her innovative cleaning technique. Read on and discover what it's all about. Even as a teenager Marie Kondo was obsessed with tidiness and order. With her revolutionary KonMari method (the name comes from a mash-up of her first and second names), she has turned households around the world on their heads in recent years. Meanwhile, the popular Japanese author has written several books including The Life-Changing Magic of Cleaning Up and Spark Joy and was ranked among the 100 Most Influential People by Time Magazine in 2015. Innumerable cleaning-averse and chronically chaotic people have already succumbed to the KonMari method, as the lifestyle expert proves that a clean and tidy home can add to our wellbeing and positively affect other aspects of our lives. We explain the principles so you can try Kondo's tips for yourself. They say that a messy home reflects an untidy mind, and cleaning expert Marie Kondo certainly agrees with that concept. She believes that being able to let go of accumulated possessions - or 'junk' as some people may call it - is the key to making progress towards a new and uncluttered future. Don't we all have a habit of hanging onto things we don't need? How often do you think that these odds and ends will actually end up being useful at some point? The fact is, that day is probably never going to come. According to Marie you're better off getting rid of things you do not use and all of the little bits and pieces that are cluttering up your life. All of these accumulated odds and ends that we never use not only take away space, they also make us feel guilty about the fact that they are making our living space so messy. "To live a life surrounded by things that make you happy - excluding things that make you unhappy. Isn't that the ideal state?" asks the clean-up coach. With Kondos Magic of Cleaning Up you will get to know yourself in a completely different way. After applying the KonMari method, not only will your home have been rejuvenated, but you will as well. So, sleeves rolled up and let's get going! Are you one of those people who would rather clean a little each day instead of tackling everything at once? It seems that that's the wrong approach. At least that's what Marie Kondo says: "Only drastic cleansing in one go triggers a change of consciousness. That's how we make a fresh start." 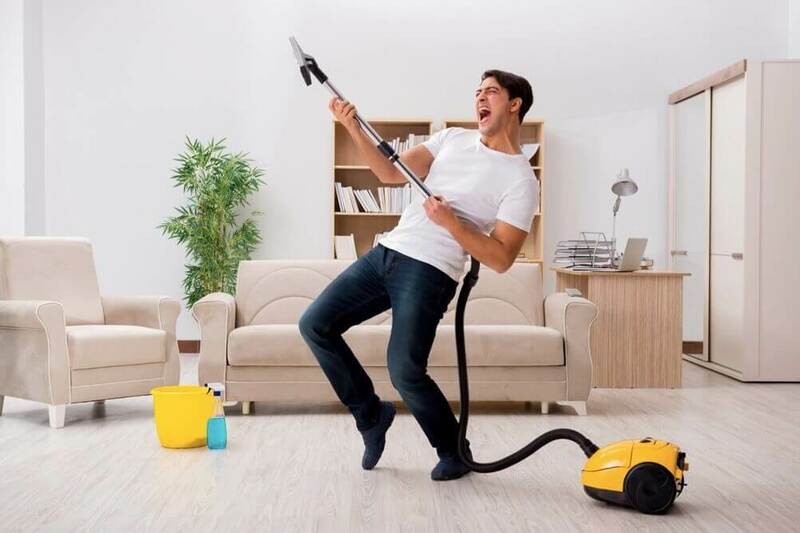 For the definitive wow experience, the cleanup coach recommends picking up our stuff from around the house and spreading it out across one large space. Even if we dread it, it's the only way we can understand the task at hand and deal with it in one go. "After that, nothing stands in the way of a happy, liberated life," promises the Japanese author. Thanks to the KonMari method, cleaning up at home should make us self-confident, well-balanced and satisfied people. But proper tidying techniques need to be learned. So, armed with garbage bags, before you throw away your possessions without having a plan you should take a look at the following cleanup tips . Not only will your living conditions change but your whole life change will benefit from your new, uncluttered surroundings. The Konmari method promises order that lasts for a lifetime. However, to successfully implement this technique, you should first throw your usual clean-up habits out the window. When we set about creating order, Marie Kondo advises us not to concentrate on a particular space. Instead, we should get used to organizing everything into categories. Those things belonging to the same category are best kept in the same place. Everything should get a permanent place to which we put back the respective objects, even if we no longer use them. This means we can avoid falling back into mess and disorder in the future. So the first step is to assemble all items that we have distributed in different places in the house and which belong to a certain category. Then all of these things are laid out in front of us, so that you can see (and become aware of) how many things you actually have. This allows you to properly decide what you really need and what has just been taking up space. Cleaning up is done in the following order: First thing to tackle is the wardrobe, then it's on to books, papers and documents, small items and only at the end of the process do we start to weed out those personal items we have been carrying around with us for so long. Experience has shown that the last of these is the hardest, with photos, personal letters, souvenirs and greeting cards proving difficult to let go of. Let's start with our clothes. Who does not know the feeling of opening the wardrobe only to complain pitifully that you have absolutely nothing to wear. It can sometimes seem like that because we keep many of our things in different places. The winter coats are stowed in the attic, the sports clothes are in the hall closet and the summer shoes are stacked in several boxes in the garage. However, thanks to the KonMari Method the principle "out of sight, out of mind" will become a thing of the past. The KonMari Method allows us to clearly visualize everything we own by putting it together in one place. Now it's time to clear out. Don't cheat yourself by tidying everything away perfectly instead as this is only going to temporarily cover up the problem. Get rid of all that stuff that you know, deep down, you are never going to use; nothing should burden your new life. Parting with all those superfluous things we have held on to for so long may seem difficult, if not impossible, at first. But in fact you will discover that the process is actually very liberating. Just stay strong! Things that you haven't used or even thought about for years need to head right out of the door. But before you impulsively throw out most of your belongings, Marie Kondo recommends that you take each piece one by one. The trick is to only keep things that bring joy into your life or make you happy. Listen to your heart when you ask yourself the following questions: Do I really like it? Do I need it? Does it make me happy? Only if the answer is yes can it stay. With each no, you can decide whether to throw the item away, sell it or give it away. But the item will not fly out the door until you have given it due consideration with mindfulness and appreciation, as Marie Kondo emphasizes. After all, this object has been with you for at least some of the way on your life's journey to this point. If you are not sure whether you really need an item, ask yourself honestly when you last used it in the last six months . If the answer is "never" then you can assume that there will be no need for it in the future. So away with it! After sorting through everything, you can devote yourself to stowing the survivors away. Each item gets its assigned place, to which it is returned immediately after use. "If you've selected your belongings correctly, they will fit perfectly into your existing storage space," says Kondo. Dropping ballast finally creates space - both internally and externally. Once you've sorted all your clothes, it's time to put them together in one place. Note, however, that when packing things away, stacking is prohibited. After a while we lose the feeling for the things on the bottom of the pile. This may even lead to us eventually forgetting what is hidden within the stacks. Kondo therefore folds every single garment into a perfect, even rectangle that can stand upright in a drawer. With this special folding technique you protect your clothes from getting wrinkles. In addition, you can see every part at a glance and quickly find it again. That sounds wonderful, doesn't it? But now it's crucial not to fall back into old patterns of behavior and maintain order at home. Marie Kondo is convinced that everyone, after applying this method, will have a very different relationship to material possessions. From now on your new, tidy life begins and you'll quickly realize that you don't miss anything. Thanks to the KonMari method, you have discovered what you need in life. Ideally, in the future you will only buy things that really make you happy and with which you want to consciously surround yourself. It should now be over with impulse purchases that end up stuck at the back of the cupboard. And most importantly, all the things you own (and any necessary new purchases) have a permanent place. Clutter has no chance! Our conclusion: The success of the KonMari Method lies not only in its effectiveness, but also in its careful and optimistic philosophy. Do you already belong to the army of convinced KonMari fans? Or do you have another cleanup method that you swear by? 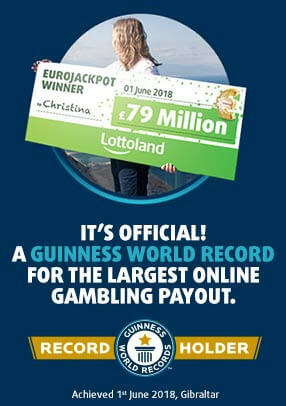 Tell us more about it in the comments: here at Lottoland we are always interested in discovering new ways of doing things, as our track record demonstrates!